What is The Blue Way Music? Blue Way Music is a collection of musical mix of present day music to other styles which may be found, some even more than hundred years ago. Some music is naturally UPBEAT contrasted with some on & FROM A SOLO “niche” page that is for relaxation or just ambient background listening and HAS NOTHING TO DO WITH THE BAND AND THE GIGS PERFORMED BY THE BAND . The SOLO PAGE’S MUSIC can even be used for meditation, thoughtfulness, calm, [SOME TIMES CALLED NEW AGE BY SOME PEOPLE] in contrast to other music on the solo page which would cause an upliftment to dance thus energizing. The Blue Way Music Collection is of original music producing a unique blend in its own portrayal of this kaleidoscope. Please take a few moments to view the current Blue Way Music Collection where you will find links to CD samples and purchase information. There are no free music samples on this site, because only ‘nothing’ is free. Blue Way Music believes its produce is ‘something’, of real value, and you are invited to SPEND some time listening to the samples of these CD releases before spending to buy – CD Samples are accessible using the side menu on your right. All titles on this site can be purchased through CD Baby, the largest seller of Independent music on the web, and MP3s are available through a growing number of internet sources. Find out where you can purchase Blue Way Music. 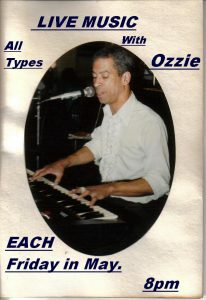 Oz, is also available for VOCALS/PIANO , SOLO PIANO , for Jazz COVERS and contemporary popular music. 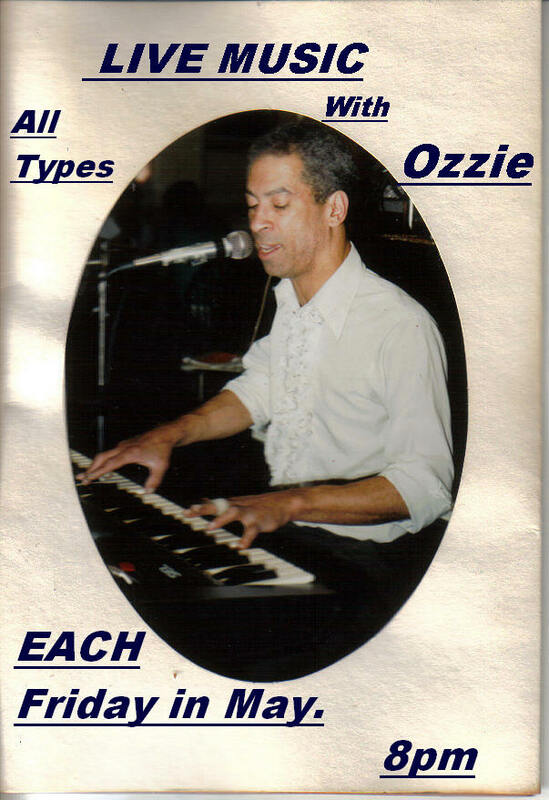 Likewise on Keyboards instead of Piano as required by the Venue. PLEASE NOTE. THE BAND OZIGNITION [aka The SOUL KNIGHTS ] PLAYS COVERS OF SOUL, JAZZ FUNK, JAZZ, BLUES, SKA etc. A SEPERATE PAGE FOR THE BAND WILL APPEAR as SOON as possible to view in addition to that below. SOME of The band’s covers, edited,are featured below. Get 20% discount on all Blue Way Music CDs, if you buy more than one copy today! 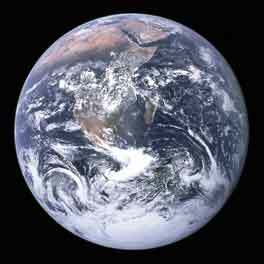 Blue Way Music is the result of many years, a lifetime for some, of research and practice using the human faculty into its true purposes. The music on this website is conducive to relaxation, meditation, thoughtfulness, calm, upliftment, energising, all important natural human purpose balance and alignment. Copyright © 2019 Blue Way Music. Powered by WordPress. Theme: Spacious by ThemeGrill.